Look what Donald pulled out of a blind box! 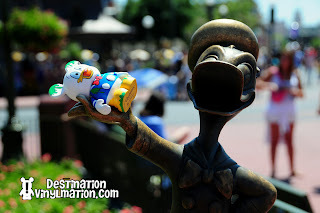 Find the Wet Paint Donald “variant” photos at our Facebook. Orange Monorail was pondering how to get his life back on track. 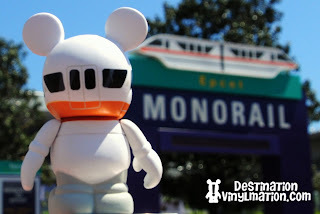 Space Mountain Paris visited Tomorrowland at the Magic Kingdom to spy on his competition. Find the Space Mountain Paris “variant” photos at our Facebook. 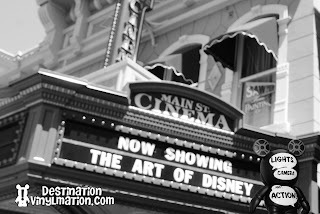 Abe Lincoln felt right at home in Liberty Square at the Magic Kingdom. 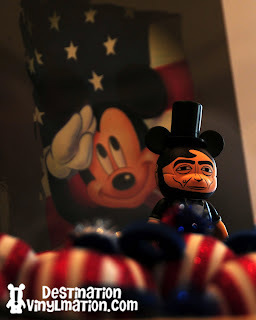 Here, he addresses the crowed of red, white and blue Mickey Ear antenna toppers. 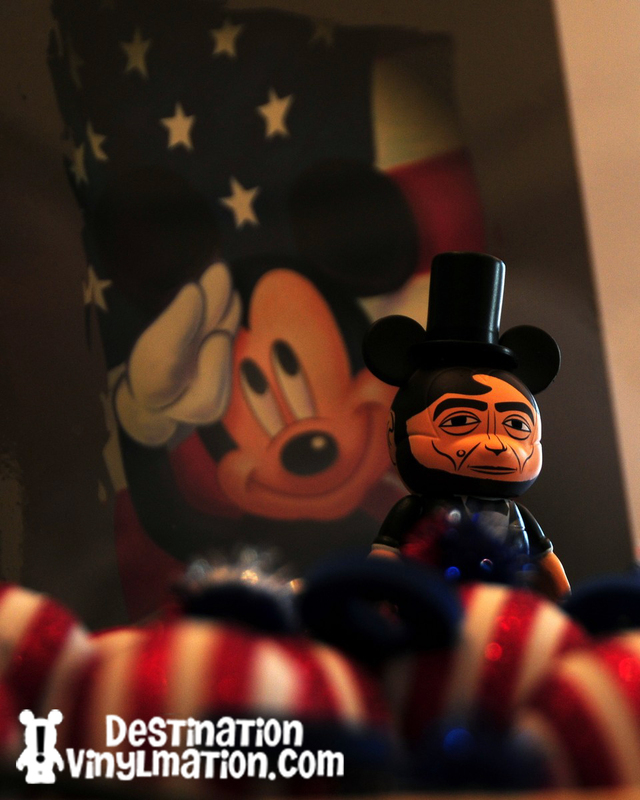 Find the Abe Lincoln “variant” photos at our Facebook. Needless to say, Pinocchio didn’t expect to see Monstro show up in Fantasyland at the Magic Kingdom! 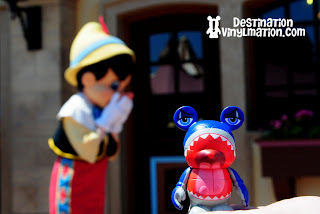 Find the Monstro “variant” photos at our Facebook. Everyone on the Ferryboat to the Magic Kingdom felt safe with the DCL Lifeboat on board. 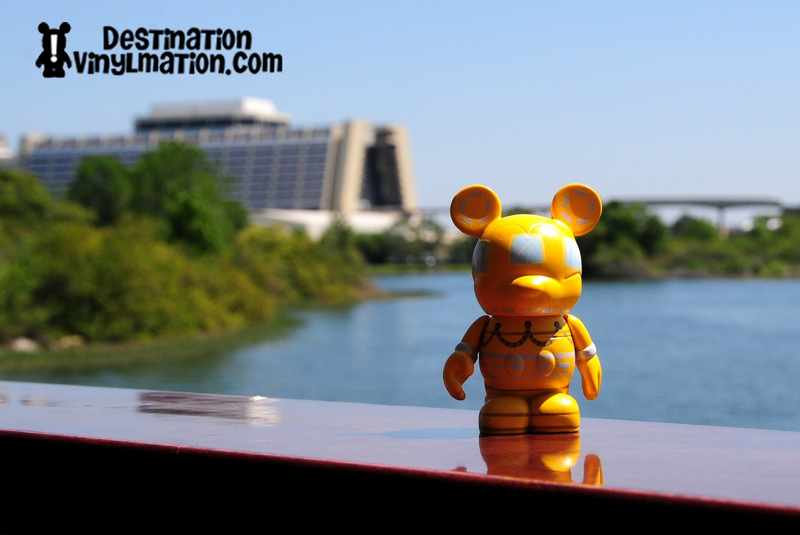 Find the DCL Lifeboat “variant” photos at our Facebook. Sonny and Sonny perfromed many duets on Saturday to a packed house at the Starlight Cafe. 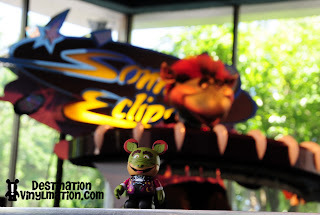 Cosmic Ray was pleased enough to have a open toppings bar for the guests on hand. DHS Clapboard voted to go to Hollywood Studios but was outnumbered. So he spent the day at the Main St. Cinema watching classic Mickey cartoons and trading Vinylmation with guests. Tiki was shocked by his Adventurland counterpart’s size. He was also disappointed to find out that his designer Casey Jones didn’t equip him with the ability to squirt water. 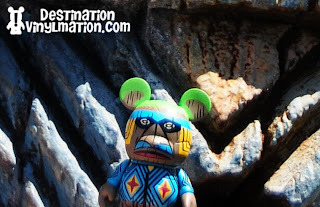 Find the Tiki “variant” photos at our Facebook. Walt Disney World Road Sign wouldn’t stop pointing to stuff all day! 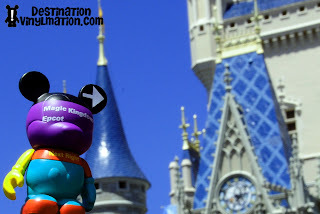 It was really annoying, but I did capture this fun shot when he was showing us all where the castle was. Troll of course wanted to visit his homeland at the EPCOT World Showcase, ride Maelstrom and have some good eats. 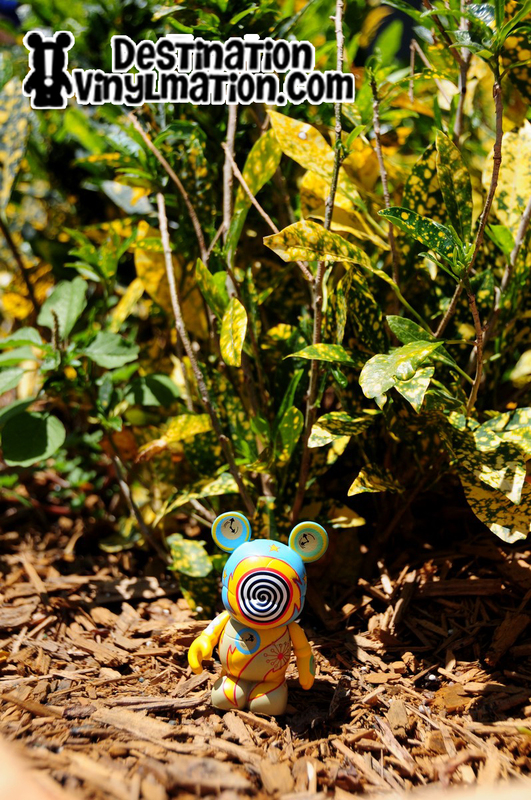 Instead, he found himself at home in the brush just outside the Magic Kingdom train station. No dinos at the MK, so Primevil Whirl hung out in the overgrown plants in Adventureland. And it was fun helping you out! I got a few ideas myself walking around for some of the figures I’ve got. Lol. Love them all. I want to have a go but have to wait until 19th may. 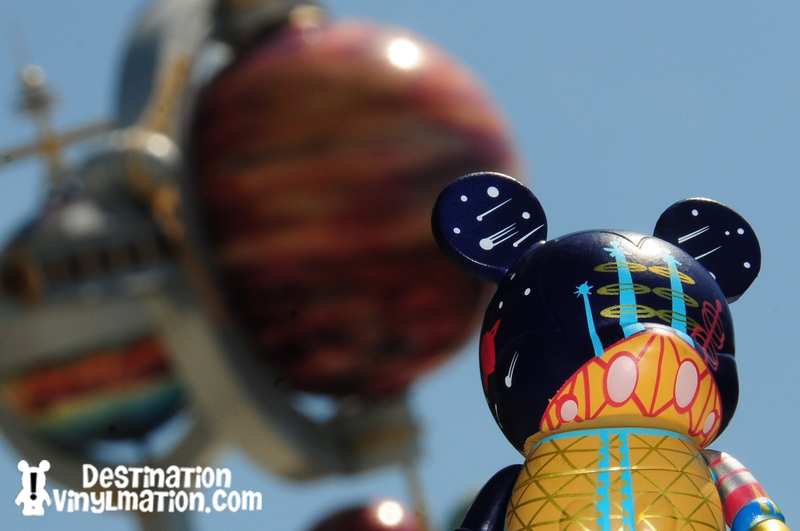 Are you coming down for SWW? Hey, I am probably going to say this one more time but it stinks that park 6 was 12.95 and no cards. I know you guys talked about this constantly what did you feel about it?